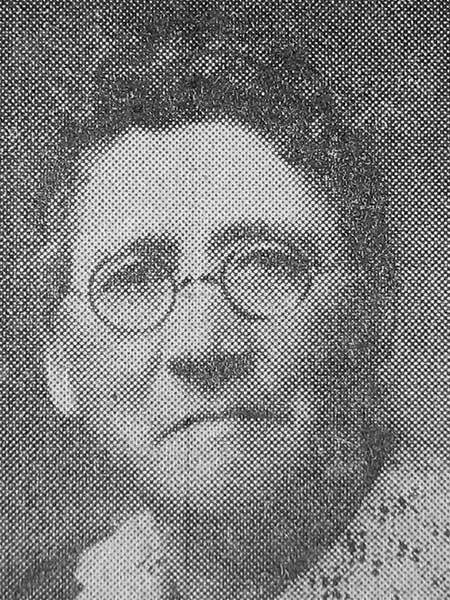 Born at Sheffield, England, she emigrated to Canada with her parents, two brothers and two sisters in June 1883, settling at Winnipeg. In 1889, she was one of the first three graduates of the nurse training program at the Winnipeg General Hospital, which had begun two years earlier. Upon graduation, she left to work at a small hospital in North Dakota where she remained a few months. In 1890 she accepted a position as assistant nurse at a new hospital in Medicine Hat, North West Territories [now Alberta], staying there two years until a hospital opened at Brandon. She took the position of senior nurse and remained there a year and a half, working under Margaret McVicar, the first Lady Superintendent fo the Brandon General Hospital. In 1935, she received the Order of the British Empire from the Governor General of Canada for her role in the pioneer nursing of Western Canada. After a long illness, she died at her home in Alexander on 22 June 1943. “Gladly she lived” by K. M. H., Winnipeg Free Press, 5 July 1943. Mary Ellen Birtles, O.B.E., Pioneer Nurse (1858-1943) by William J. Birtles, 1985. Manitoba Historical Society Library, 921.27 Bir. We thank James Kostuchuk for providing additional information used here.